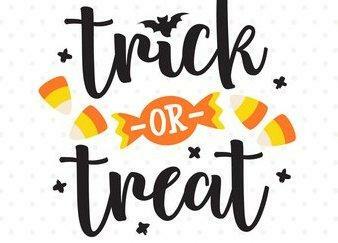 Durant Area Chamber of Commerce - Halloween 2018 in Durant! Time: 7:00, 8:30 or 10:00 p.m.
Info: Join us on a haunting experience at Ft Washita and enjoy a candlelit tour of this beautiful historic site. Reservations can be made in person or by phone to Fort Washita. Tours are $5 per person. Email reservations will not be accepted. Time: 1:00 – 8:00 p.m.
Info: Music fest with a chili and gumbo cook off fundraiser for Crisis Control Center! Free glass of wine for customers that wear a costume! (Must be 21 or over to purchase or taste wine or beer) ID required. Performances by Jason Young, Jason Meadows, Mo McCann, Brad Good and Shelley Ainsworth Jung. Info: : Bring a blanket or lawn chair to the last movie night on the lawn of the year! Hocus Pocus will be shown at 7:30 p.m. followed by IT at 9:30 p.m. Concession will be available. Time: Registration – 9:00 p.m., Contest – 11:00 p.m.
Info: The largest Halloween party in Durant will feature Halloween drink specials, live music from Moving Color, giveaways and a $6,000 costume contest. Come dressed up in your best costume to win one of three cash prizes ranging from $1,000 to $3,000. Costume contest begins at 11 p.m. Open to guests 21 and older. Free to attend. Info: Come by Knight Family Chiropractic on Halloween for candy and a chance to win a fun "Trick or Treat" gift basket! Info: Bring your little ghouls to trick-or-treat down historic Main Street on Halloween afternoon. Participating local businesses will provide candy stations along the sidewalks of our downtown district. There will also be music, character appearances, mini golf and more! Don't miss the Costume Contest on the Market Square stage at 6:00 p.m. Contact Durant Main Street to set up a candy station for this event. Info: Take your kids trick-or-treating to The District this Halloween and meet your favorite superheroes Wonder Woman and Super Man as well as characters from Star Wars and Wizard of Oz. The characters will pass out candy and take photos with your trick-or-treaters. Fun starts at 6 p.m. Free to attend.